Manufactured in France from 1975 until 0. 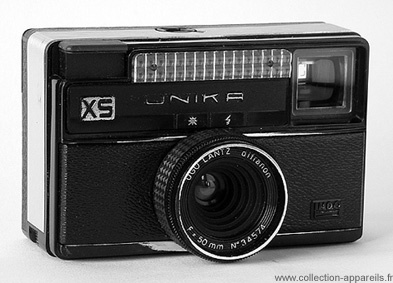 Unika XS are distinguished from other Unika by its lens, called Diffranon, treated for the color. It is of one 50 mm, and not about one 45, as indicates it by error G. Moreau in its work.